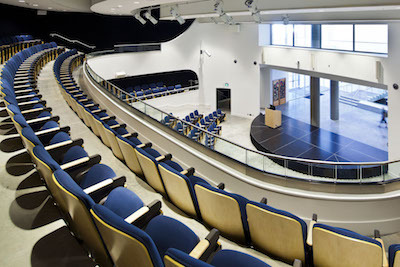 The Facilities Office at Emily Carr University manages all of the University's campus spaces on a day-to-day basis. Examples include electrical issues or outages, malfunctioning elevators, room temperature issues, lighting issues, personal safety concerns, odours, plumbing issues, slipping hazards, vandalism, broken glass, garbage and recycling requests, cleaning requests, or pest control issues. If an item is of an urgent nature, please indicate that it is urgent during your call, or include this information in the subject line of the email. Urgent items include situations that pose a threat to health and safety. As an example, a burned out light is not an urgent issue, but a chemical spill would be. Issues related to furniture, equipment, office changes, or new capital requests should continue to be directed to the Facilities office at fclerk@ecuad.ca. All student art installations in the University must be approved by Facilties or they will be removed immediately. Facilities tries to work with all students to provide solutions for installations that are safe and accessible. Please drop by to pick up an Application to Install form, and if you have any questions or concerns about your installation, the Facilities staff will help you work out some options for installation. Parking passes can be purchased from Finance and picked up in the Facilities office with a valid receipt. Paid parking is available by semester or by the day. More details can be obtained from the Facilities office. Student Room Bookings: The Scheduling Office books rooms for students for curriculum-based use only. If you wish to use a room for a club, please contact the Student Union to sign up your club and they will make your room bookings for you. Faculty and Staff Room Bookings: To book a room for your meeting, event, critique, installation or other curriculum-based requirements, please contact Danielle Benda, Administrative Assistant, Scheduling at roombookings@ecuad.ca. For non-affiliated events, please see Facility Rentals for Public, below. We are currently renting our Reliance Theatre, Rennie Hall and our Main Boardroom to external clients. Visit this page to find out more. Students: You must be enrolled in a class to receive access to an area. Waitlisted students must wait until they are enrolled in a class to gain card access to an area. If you lose your card, please notify Student Commons to get a replacement card. Faculty: Your card will provide you general access around campus and into areas you are specifically teaching. For Sessional Faculty, access is provided two weeks prior to the start of a semester to allow for prep work, photocopying etc. and a week after the semester ends. Staff: Your card will provide you general access around campus and into areas you are specifically working in. Do not lend your card to anyone or provide access to a restricted area to someone without an access card. Please notify Facilities or Security immediately if you lose your card. Security, 604.844.3800, local 2899 - during evenings and weekends. Emily Carr employees and students actively engage in the local arts and cultural community. Notices about arts and culture events are accepted for display at our Information Desk during regular business hours (8:30 am - 4:30 pm, weekdays), attention to Alex Fowler. The University reserves the right to refuse materials.